A Welsh girl in Australia: Urgh - I stood on a cane toad! 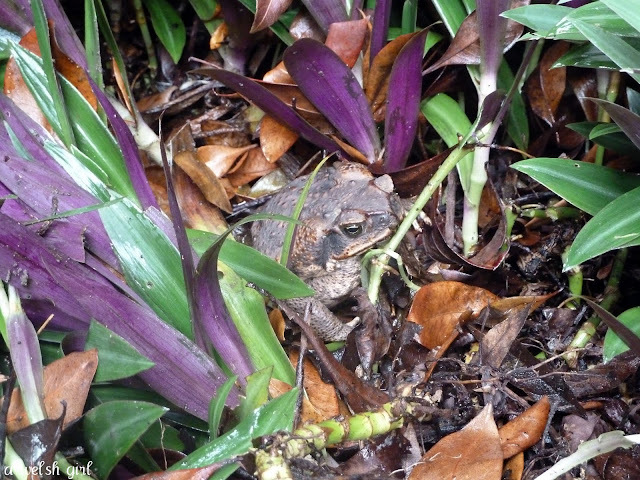 Urgh - I stood on a cane toad! Warning - this is not a pretty picture post! Isn't this one of the ugliest things you've ever seen? Did you hear me scream the other morning when I accidentally trod on him?! Yes, I'm still here to tell the tale..a bit shaken, but still here! Anyhow, in my rush to dry the clothes I didn't think of checking...and a few minutes later this thing moved by my feet! I jumped a mile, but in my panic instead of jumping away from the thing, I jumped onto the thing!! I couldn't stop hopping...and chanting! 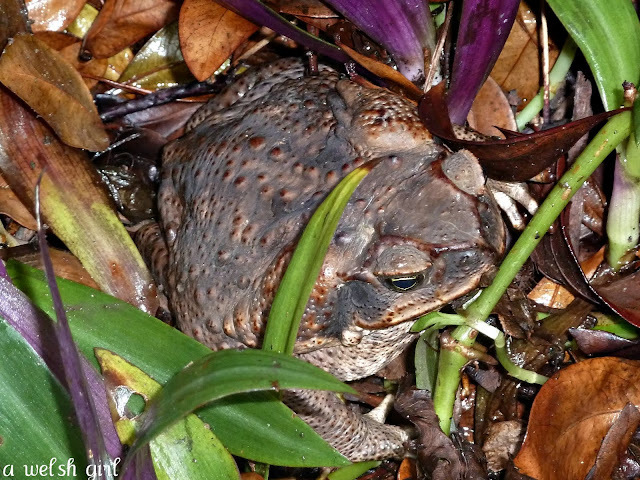 I have seen these toads before - we had one that got stuck in the base of the netball hoop some months ago (link to post here) and each time I see them I realise how revolting they are. Their skin is toxic and this can kill a small cat or dog, so they are also pretty dangerous. I wasn't taking any chances so after disinfecting my feet I found my wellies (gum boots) ready to go and continue with hanging out the clothes! Oh the joys of sub-tropical Queensland. p.s. I would never venture out to the clothesline after dark when we lived in Yeppoon...just in case..
Yuck! I'm so glad we don't have those down here in Tassie! Beth that is REVOLTING!!!!!!! I still remember the other post vividly. Did you see on 60 minutes how these creatures are becoming Super Toads. Frightening and alarming! All I can saw is Ewwwww!! That creature is why we keep the dogs inside at night! I think I would have been doing the dance of horror too if I were you..yuck..you have my commiserations! Eww they are one thing I don't miss about Brisbane...they are so disgusting and I would have done exactly the same thing. 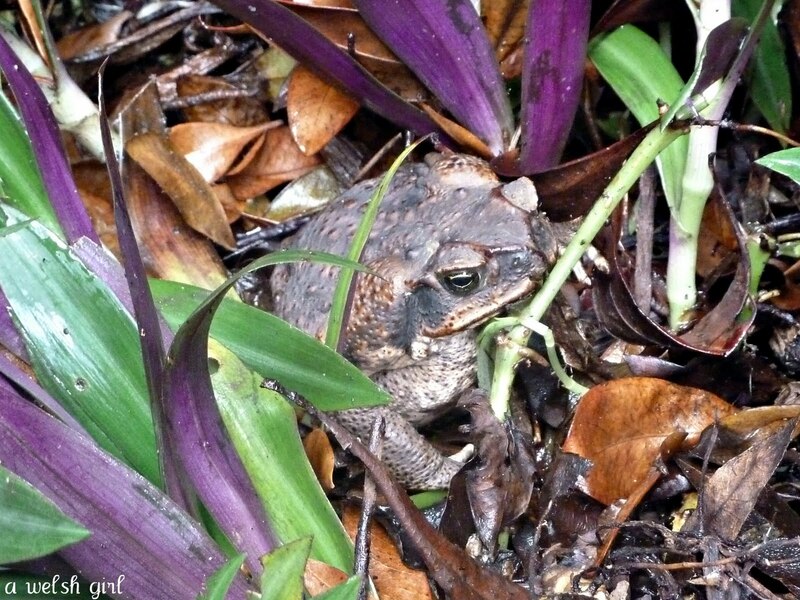 Have you seen the cane toad ornaments - stuffed cane toads in various poses. Yuck! !